Blended almonds, cashews and nutritional yeast flakes create a velvety texture and taste that closely resembles that of real cheddar. Taste better than the real thing. Even better, it's free of isolated soy protein. Want to know what others thought about this recipe? Would you like to comment on this recipe? 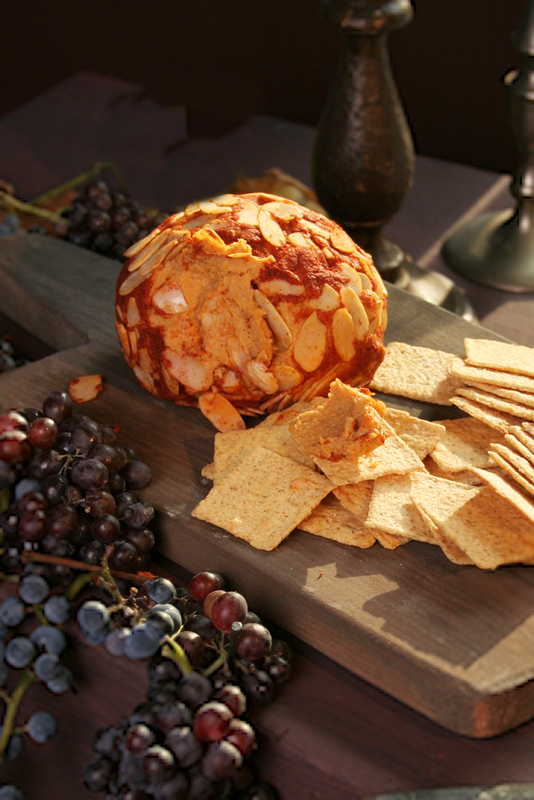 Go to the Vegan "Cheese" Ball, Smokey Cheddar blog entry. Place almonds and cashews into a food processor until it's ground up for about 2 minutes or until clumps start to form. Place 1/3 of a block of tofu from a 14oz block. It's important to use firm tofu. Silken or extra firm will not work. An average block of tofu is about 4.5 inches long, so measure 1.5 inches off. Drain tofu in a strainer by smashing and pressing firmly. Using a clean dish towel to soak up some of the water helps too. It's important to get as much water as you can out. Now add the tofu to the almond and cashew nut paste that's already in the food processor along with the nutritional yeast flakes, seasoned salt, sugar, lemon juice, liquid smoke, paprika, vegan butter, olive oil, mustard, garlic powder, onion and blend about 2 minutes. Spray a bowl and a square of plastic wrap with no stick spray. Pile mixture into the bowl and cover with plastic wrap. Place in fridge and Let this chill for at least 5 hours or overnight. 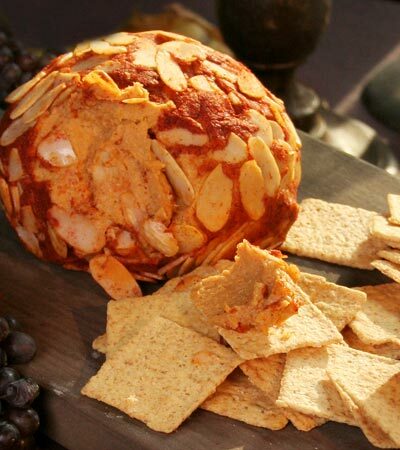 It will get firm and can now be shaped into a ball and rolled in sliced almonds and paprika. If you lightly oil your hands it will keep it from sticking to your hands while you roll. Now it's ready to be served with your favorite crackers.